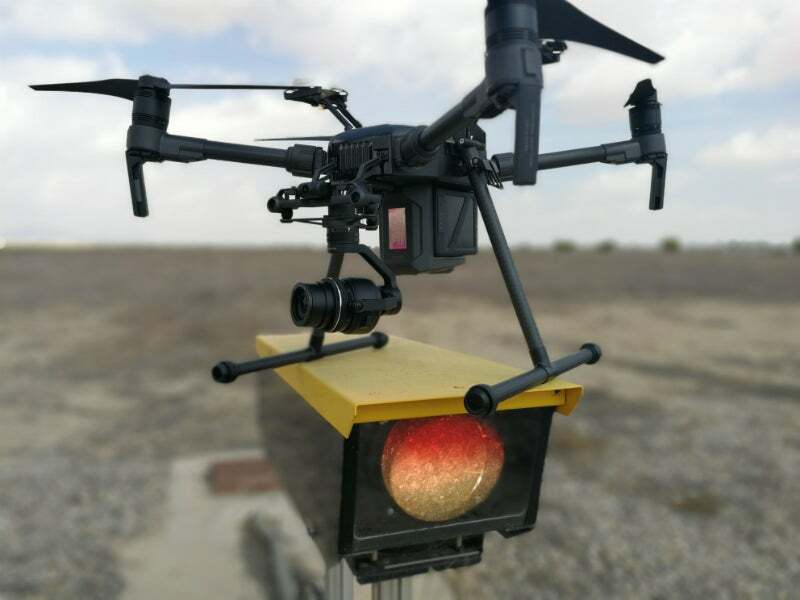 CANARD DRONES offers quick and accurate precision approach path indicator (PAPI) light inspections and calibrations that are carried out using custom software, procedures and sensor-equipped remote piloted aircraft (RPAs) with satellite positioning. CANARD offers a reliable and economical alternative to conventional flight inspections, allowing more flexibility and increasing the automation and intelligence in the calibration of airport navigational aid (NAVAID) systems. CANARD’s RPAs operate both day and night and align with the airports’ specific maintenance requirements. Solutions combines state-of-the-art hardware with custom software and procedures to fully automate RPA operation. CANARD has cleared the regulatory hurdles to operate in complex and restricted areas of the airside zones. After the inspection, a report is generated in real time with the results. CANARD has obtained an official certification from the French DGAC for its solution and procedures, while certification from other CAAs and entities are requested and being processed. These accolades have allowed the company to successfully perform PAPI verifications and commissioning in France, Poland, Spain, Finland and other countries. The capabilities of the tools have made possible that these operations have been performed in under 20 minutes and with less than 6 minutes of actual drone flights. CANARD has even operated within controlled airspace in Charles de Gaulle airport (France) and Pori (Finland), taking advantage of scheduled runway closings at night or small windows between commercial flights. CANARD is working on computer vision algorithms to automatically detect the transition of the PAPI lights. This capability improves the accuracy and repeatability of the solution, as well as the overall performance. With automatic transition detection, the time required for the PAPI inspection is greatly reduced, as well as the need for a payload operator to assist in the operation.